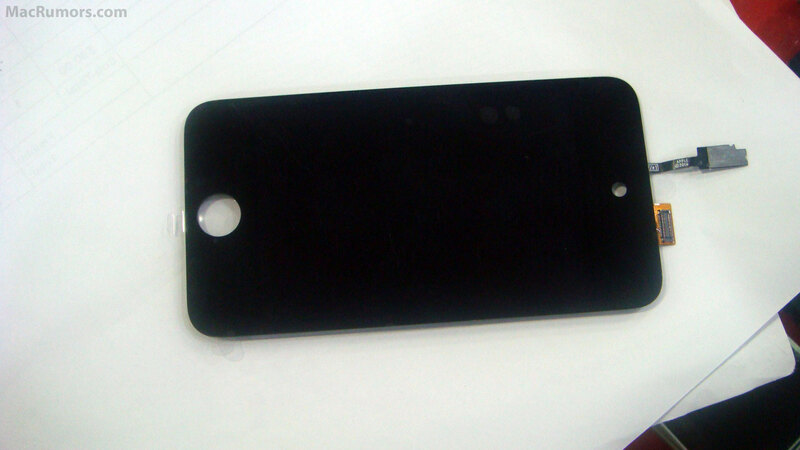 This is not the first time purported iPod Touch parts have surfaced showing off a space for a front-facing camera; however, what gives these photos a little more credence is that the part is clearly marked "Apple &copy; 2010." Take a look at this larger version of one of the photos to see the markings. That's by no means definitive proof, but it does suggest this might be the real thing. If the rumors are true, the new iPod Touch would be Apple's second device to get FaceTime after the new application debuted on the iPhone 4 earlier this summer. Unlike the iPhone, however, FaceTime on the iPod Touch would use your contacts' e-mail addresses instead of phone numbers to call other users, according to MacRumors. The MacRumors photos come just one day after iLounge said it had learned from an anonymous source about Apple's plans for new iPods (including a smaller iPod Touch), a 7-inch iPad, and a new iPhone.